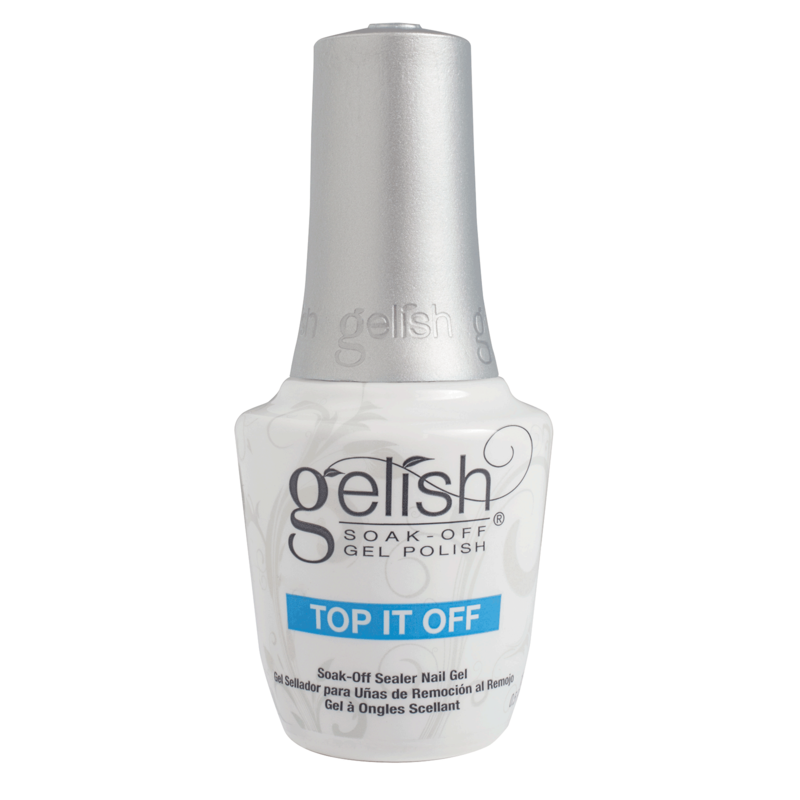 Gelish Top It Off Gel is a sealer top gel designed to create the ultimate finish with your Gelish Soak Off Gel Polish. It creates a high shine that will not dull, chip or peel from the Polish. Top It Off is a soak off gel product that can quickly be removed with Soak Off Gel Remover. This coat cures in 30 seconds in a LED Light or 2 minutes in a UV Light. - Apply Gelish Top It Off Top Coat Sealer from cuticle to free edge using a light application. - Place hand in the LED light for 30 seconds or 2 minutes in a UV light. - Wipe off the Tacky layer with Hand & Nail Harmony Cleanser. - Apply from cuticle to free edge and seal the free edge to create a better seal.